Regular comprehensive eye exams for your child at all stages of their development is extremely important to ensure a child's vision will develop as it should and to diagnose any eye conditions that may be affecting your child. There are many eye conditions, such as strabismus and amblyopia that can be corrected easily if caught early but can do irreversible damage that will affect a child into adulthood if left undiagnosed and untreated for too long. However, one of the leading causes of ocular disease in adults that continues to progress is myopia. While nearsightedness or myopia for many has been corrected through glasses or contact lenses, a modern concept has developed called Myopia Control. 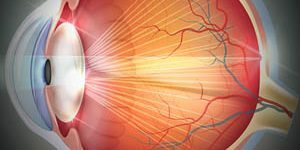 Myopia control is oriented to slow down or stop the progression of myopia since over the past few decades myopia has increased at an alarming rate. Unfortunately, the percentage of moderate to high myopia has grown in number and myopia control is becoming a major consideration for parents & their child’s eye health. Book an appointment at our practice to learn how to start controlling your myopia. 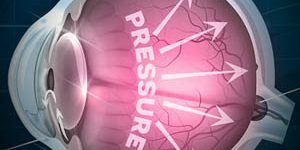 GP contacts are made of a firm plastic material which allows the passage of oxygen through the lens to your cornea and the front surface of your eye – essentially allowing your eye to “breathe”. This increases comfort, health, and safety during contact lens wear. We know that the anatomical and lifestyle needs of children, as well as their lens fitting parameters, may differ from those of adults. That’s why now is time for the next generation of MyoVision ®Lenses by ZEISS, specially designed for children. ZEISS MyoVision design applies the principles of Peripheral Defocus Management: the correction of the peripheral “hyperopic shift” affecting myopic eyes sends a signal to the eye to reduce the progression of eye elongation, which can result in the reduction of myopia progression.